This old ferris wheel was sitting alongside the US highway Elise and I took to North Carolina. I really want to know where you saw this. i have a deep desire to go see it myself. What road in N. Carolina where you on? This is a beautiful picture. This is a great picture. It brings feelings of nostalgia, of a time when things were better. Very nice work. I'm actually quite fuzzy about the exact details of where this was. I'm not one to discuss exact locations in the first place, but we found this place completely by accident at 6:00 AM after an hour long nap after hours of driving, so to say my mind wasn't the sharpest is an understatement. I actually beleive that this looks remarkably like a place in ohio near where I own a home. The style of the cars on the wheel is what makes me wonder. Only – too many people have been tramping around there and the cops are keeping a tight lid on it at this point. Maybe you dreamt it : ) Agreed, very beautiful photo – I actually just bought a rock poster that uses this image, advertising a Robert Plant w/ Band of Joy concert. Well it’s all over pinterest several times with not a clue of the photographer or source. I thought you should know this. Yeah, I’ve kind of learned that I lost control of the image a while back. I’ve been putting watermarks on everything since. Thanks for the heads up! I might spend a few days contacting people and asking them that they at least link back to my site in the future. I don’t mind so much that people are enjoying my work, just that they’re not giving me credit for it. Hahaha, that’s freaking awesome. Happy to hear that some people have my back! 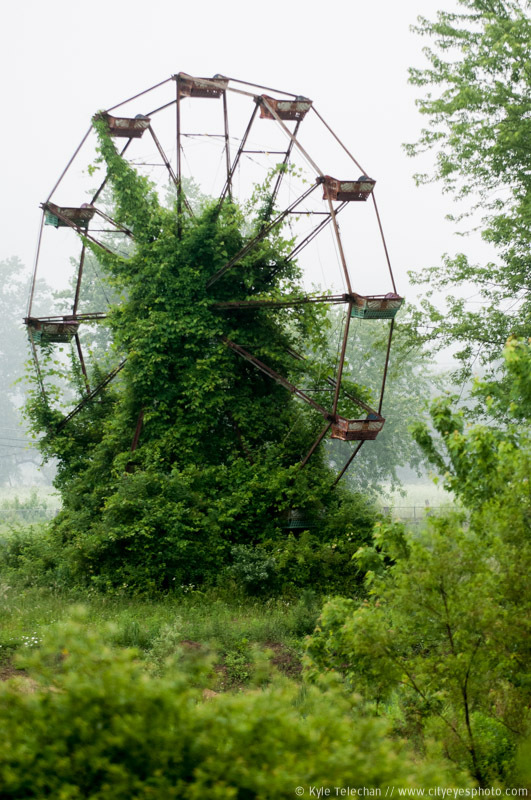 Really looks like the abandoned ferris wheel at Chippewa Lake, OH. I was there in ’14. Got a pic of it. Looks the same.